The friendly face and voice behind the front office desk and phone is our Office Manager/Administrative Assistant, Keri Denton. 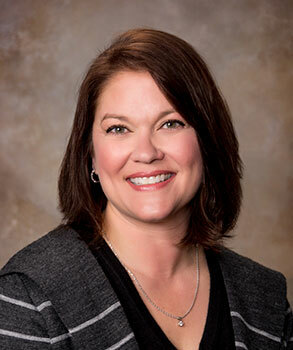 Keri is a native of Troup County and brings 20 years of customer service and administrative skills to our office. She manages our client service needs and coordinates with our support offices in Macon, Cleaveland, Dallas, Austin and New York City. Keri is married to Johnny, and has two sons and a wonderful daughter-in-law. Please feel free to call or email her with any question or service need as well as to schedule an appointment.